Research is integral to our land grant mission. It is an essential component of the college’s goal of educating the next generation and solving some of the world’s most pressing issues. When research innovation happens on our campus, we want the world to know that CFAES was a driving force behind these breakthroughs. Research posters are one way we can ensure that CFAES’s innovative role is at the forefront of any advancement. While the accomplishment is the most important part of the message, it’s also necessary to have a properly branded image that accurately reflects the academic excellence and professionalism inherent in the work. Easy-to-use poster templates are available to download in both Adobe InDesign and Microsoft PowerPoint formats and can be customized to your area of focus. Each poster template includes the college’s minimum branding requirements and each unit is welcome to customize the art to meet their needs. Although the templates are available in the most popular sizes and configurations, check with your conference or event organizers for specific requirements. The files are available to all members of the CFAES community with Ohio State login credentials. Please email CFAES_BAT@osu.edu if you encounter any problems accessing them. Now that you have an awesome poster, you’re ready to print it! 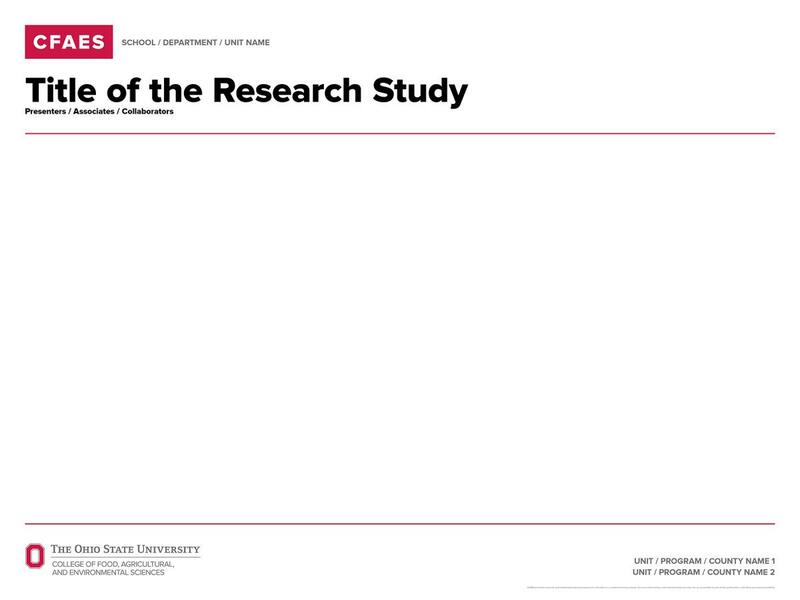 Read this article for campus research poster printing options.